Elizabeth Wyllie McCONNELL, was born on 10 May 1895 at Carcluie Cottage, Ayrshire, Scotland to Isabella WATSON and her husband John McCONNELL, a gamekeeper. Elizabeth was also known as Bessie or Betty. It is not known at this time where her middle name ‘Wyllie’ came from. Photo left: In this 118 year-old faded photograph, Elizabeth is the baby on her mother’s lap. [see post 16 April 2013 for McConnell family group photo]. Photo is from the collection of Mary Smith, Tennessee, USA. May Wood in Ayrshire, Scotland also has a copy of this photograph. Since Elizabeth is a baby it can be estimated that the photo was taken in the summer of 1895. The boy standing is Thomas Watson McCONNELL, Elizabeth’s older brother. By 1901 Elizabeth, 5 years old, was a ‘scholar’ [attended school]; no doubt it was her first year. Sometime between the birth of her brother William in February 1902 and June 1904, two serious blows struck the McConnell family. Elizabeth’s father lost his job as a gamekeeper and, probably as a consequence, the family was compelled to move from Carcluie Cottage. The reason for the forced move is unidentified at this time, however Elizabeth’s father John never again worked as a gamekeeper. The move itself (where could the family go? ), must have been extremely stressful. The situation worsened since Elizabeth’s mother was seriously ill and may have been unable to tend to her family of seven children. Elizabeth was only 9 when, on 11 June 1904, her mother suddenly died in the Western Infirmary in Glasgow after an unsuccessful operation. The seven children of the motherless McConnell family, and their father John, were no doubt devastated. The extended family rallied around. Aunt Janet (WATSON) and her husband uncle Gilbert SPEIRS probably lived nearby; and Isabella’s grandmother, Mary HUNTER, helped the family. Elizabeth’s uncle Thomas and her aunt Jane (her mother’s brother Thomas WATSON and his wife Jane MUIR) helped however they could, however they lived some distance from Ayr. While they were not geographically close, surviving postcards show that the families kept in touch and that the cousins visited with each other. As has been told in other stories (posted in this blog) of the Watson / Speirs / McConnell families, emigration from Scotland to Western Canada started in the early 1900s. Elizabeth’s older brother John also left for the United States. Elizabeth clearly viewed this as an option and opportunity for a better life. On 2 November 1912, Elizabeth, 17, immigrated to Canada. She joined her aunt and uncle Janet and Gilbert Speirs and their daughter, her cousin Janet SPEIRS on the ship S.S. Cassandra in Glasgow. The group disembarked in Montreal, Quebec on the 12th of November. The ship’s passenger list showed that: she used the name ‘Eliza’; her occupation was ‘domestic’ [servant]; her destination was Wolseley, Saskatchewan; and that she was “going to aunt and uncle” who would be her mother’s brother Thomas WATSON and his wife Jane MUIR. The Watson family had already immigrated to Saskatchewan in April 1910 and no doubt encouraged other family members to join them. A train journey took Elizabeth to Wolseley, Saskatchewan. She was likely met at the railway station by some Watson cousins. Christmas 1912 Janet Elizabeth would have spent with her Watson and Speirs cousins. What was Elizabeth’s life like in her new home of Saskatchewan? As a domestic, Elizabeth likely found work with families as a ‘hired girl’, a phrase used in western Canada more commonly than ‘domestic’. Two post cards still exist which paint a picture of Elizabeth’s trail. 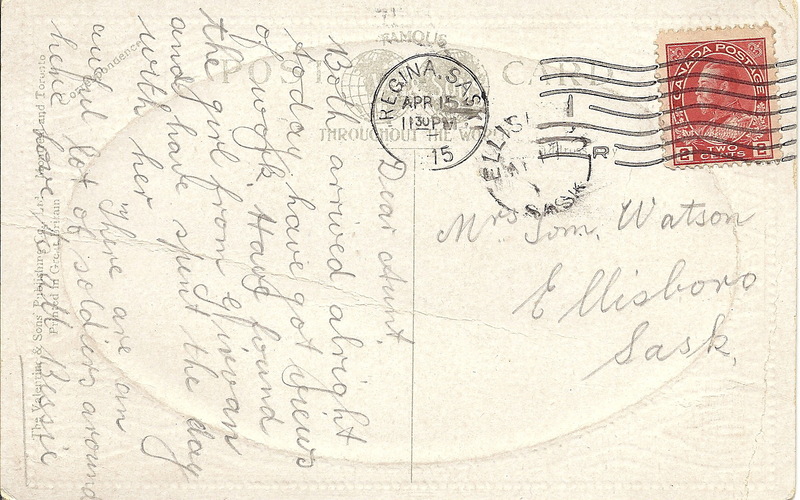 The postcard above, addressed to Miss Jean Watson, Ellisboro, Sask [Elizabeth’s first cousin, daughter of Thomas Watson and Jane Muir], was written from Wolseley where she no doubt had work with a family as a hired girl. Elizabeth speaks of having time off from work for a few days over Christmas. Although the small town of Wolseley was only a distance of a few miles from Ellisboro, the common method of communication was by postcard in the days before telephones. 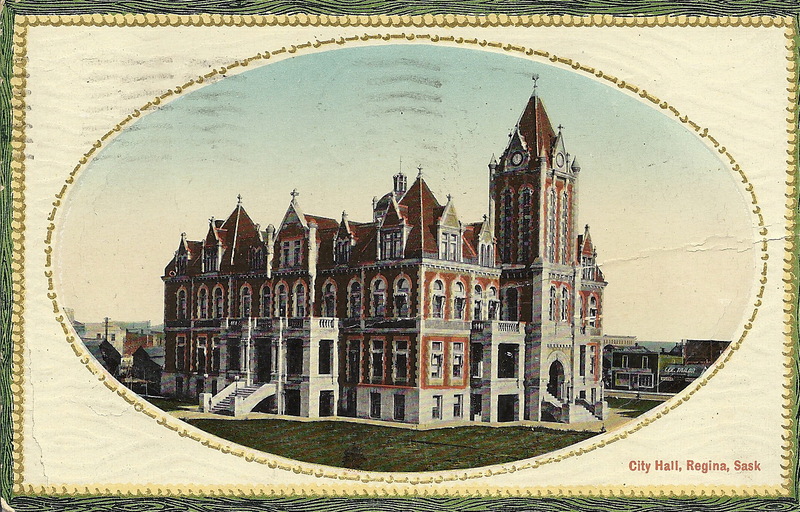 The post card was mailed on 5 January 5, 1915 and was delivered to the Ellisboro post office later the same day. Work in the Wolseley area appears to have been hard to find. 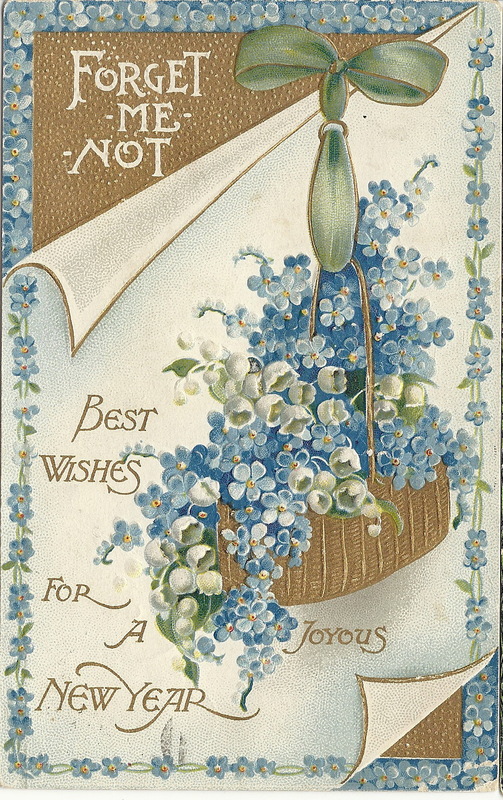 Elizabeth travelled to Regina and on 15 April 1915 let her family know her progress. 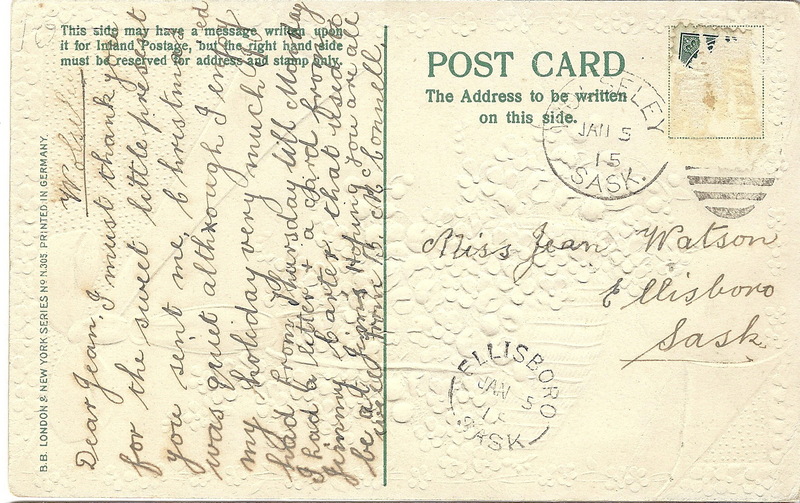 She wrote the post card below to Mrs. Tom Watson, Ellisboro, Sask. who was her Aunt Jane [Jane (Muir) Watson]. Dear Aunt, Both arrived safely alright today have got views of work. Have found the girl from Girvan and have spent the day with her. There are an awful lot of soldiers around here, love to all, Bessie. Both post cards are from the author’s collection. By the time of the 1916 census, Elizabeth was in Moose Jaw, Saskatchewan where she worked as a ‘maid’ [much grander term then ‘hired girl’]. However better opportunities appeared in the United States and in August 1916, at Portal, North Dakota, ‘Bessie McConnell’ emigrated. Her last residence was given as Moose Jaw. According to her obituary (below) she married Samuel COLEMAN in 1916. Elizabeth’s obituary, below, is the source of information about her life from 1916 until 1968. Although the obituary contains some inaccuracies (she was born in 1895 not 1896) it does briefly trace the life of Elizabeth and her husband. Elizabeth’s death occurred on 21 March 1968. Mrs. Coleman, 71, Dies, Local Services Pending Elizabeth (Betty) Coleman, 71, a former Great Falls resident, died Friday in Clinton, Wash., where she had lived with a daughter after leaving here two years ago. Funeral arrangements are pending at the George Co. Born May 10, 1896 in Ayre, Scotland, her parents died when she was a child. After moving to Canada first, she came to the United States in 1915 making her home in Shelby with a sister. She married Samuel Coleman in 1916 and after living in various northern Montana towns, the couple moved to Great Falls in 1931. Her husband, who died in 1954, was a master carpenter for the Great Northern. 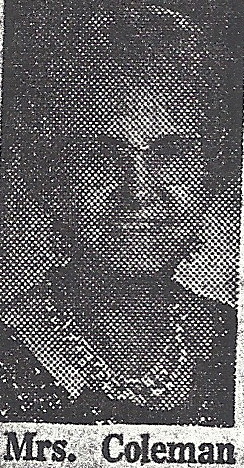 A past Worthy Grand Matron of the Montana Order of the Eastern Star, she had served on the Rainbow for Girls’ board of directors several times. She was also a member of the Presbyterian Church, White Shrine, and Daughters of the Nile. She is survived by a daughter [name withheld], Clinton, Wash., a son [name withheld], Great Falls, a sister Mrs. Isa Pierce, Spokane and two grandchildren of Great Falls. (Source: unnamed newspaper, clipping with handwritten date of 23 March 1968). Mrs. Coleman To Be Buried Here Tuesday Funeral Services for former Great Falls resident Mrs. Elizabeth Betty Coleman, 71, Clinton, Wash., will be a 2 p.m. at First Presbyterian Church in Great Falls with Rev. H. R. Anderson officiating. Burial will be in Highland Cemetery under direction of George Co. (Source: unnamed newspaper, clipping with handwritten date of March 25, 1968.